Now Samsung’s Galaxy S8 and S8+, coupled with Qualcomm’s ultra-powerful Snapdragon 835 processor, are taking a stab at joining desktop and mobile into one universal platform. 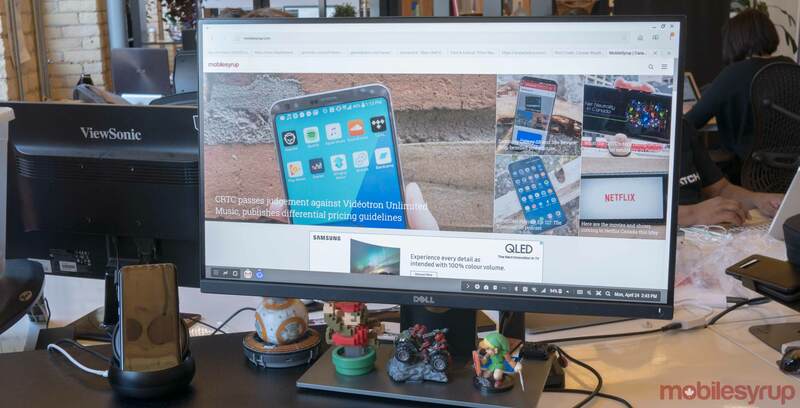 The Galaxy S8 and S8+ are already great smartphones, but Samsung’s DeX dock, a somewhat lesser-known accessory that allows the smartphone into a desktop-like device, has the potential to eventually evolve into one of its most compelling features. 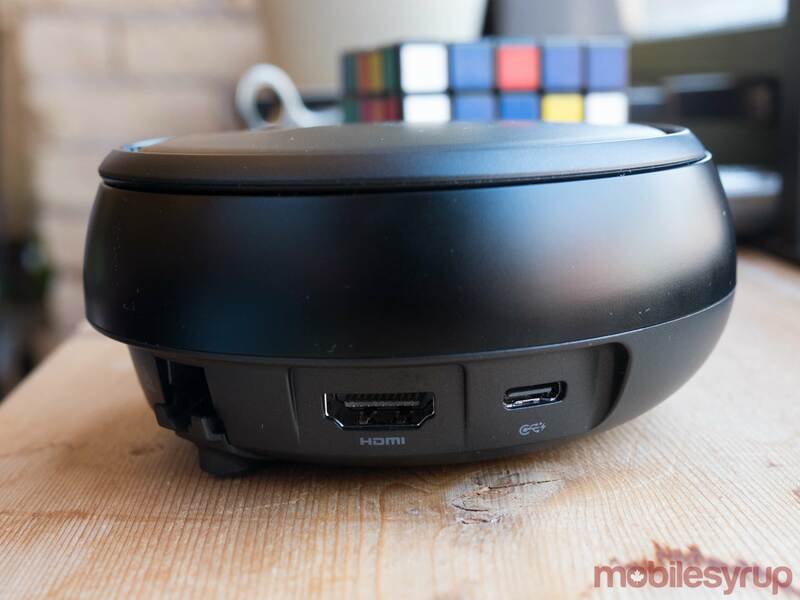 The dock itself can be plugged into any HDMI compatible monitor and connects to USB or Bluetooth-enabled (as long as it includes a Bluetooth dongle) or standard USB mouse or keyboard. 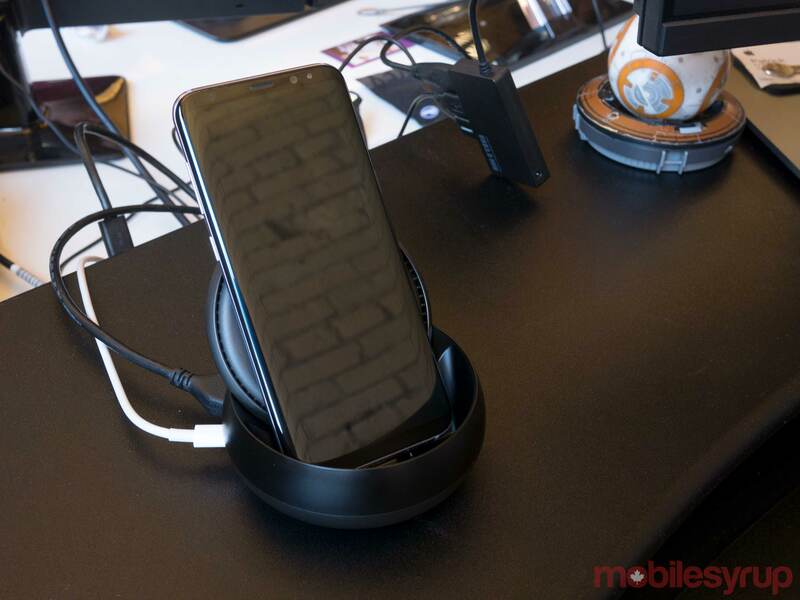 Strangely, DeX does not include an HDMI cable or power cord, instead relying on the Galaxy S8’s USB-C cable and the owner to provide the HDMI cable. 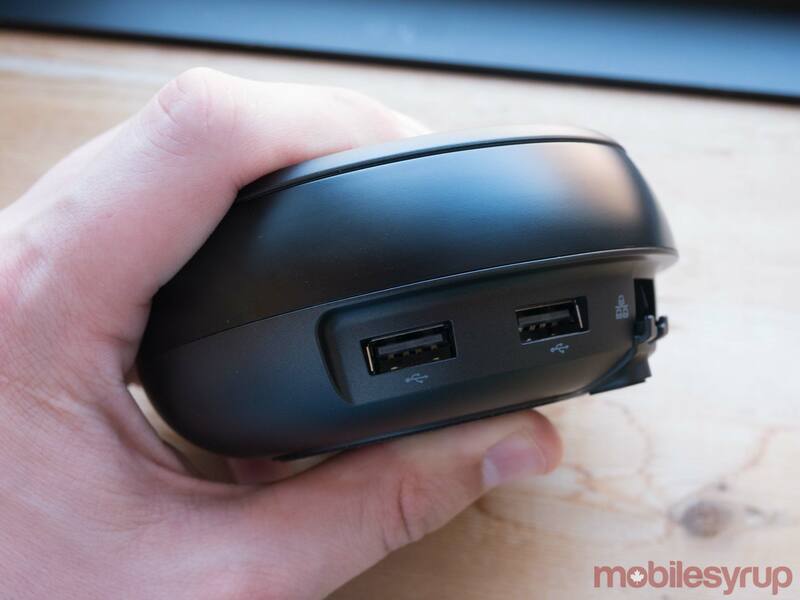 In total, DeX features two USB 2.0 ports, an ethernet port and a USB-C port for power. The dock effectively turns your mobile phone into a Chromebook-like PC that’s capable of running productivity apps like Word, PowerPoint and Excel. 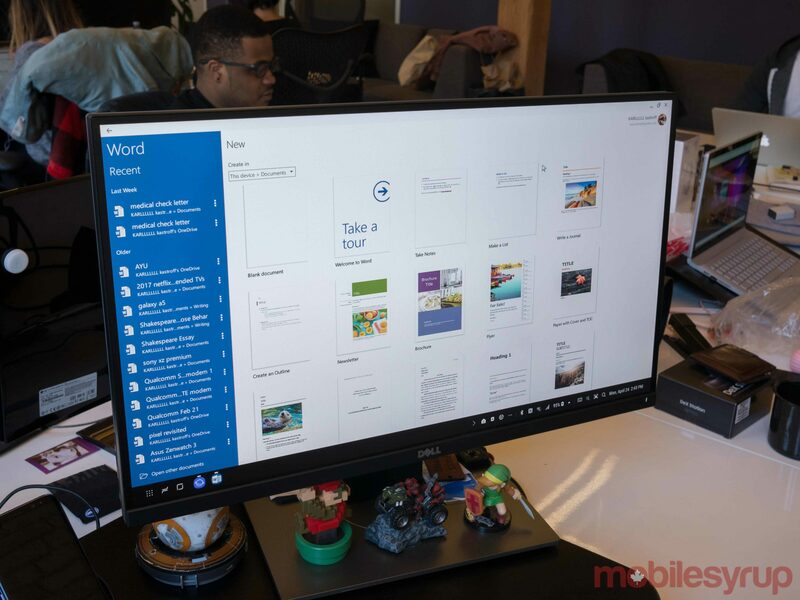 While I’ve only dabbled with Microsoft’s suite of apps running through DeX for a short period of time, all were surprisingly responsive and also optimized for a desktop display. In fact, I even wrote part of this feature with the S8 docked in DeX, coupled with a wireless keyboard and mouse. Adobe’s suite of apps, including Adobe Acrobat Reader Mobile and Lightroom Mobile, are also set to be eventually compatible with DeX and feature a user interface that’s been expanded to work with a larger display. 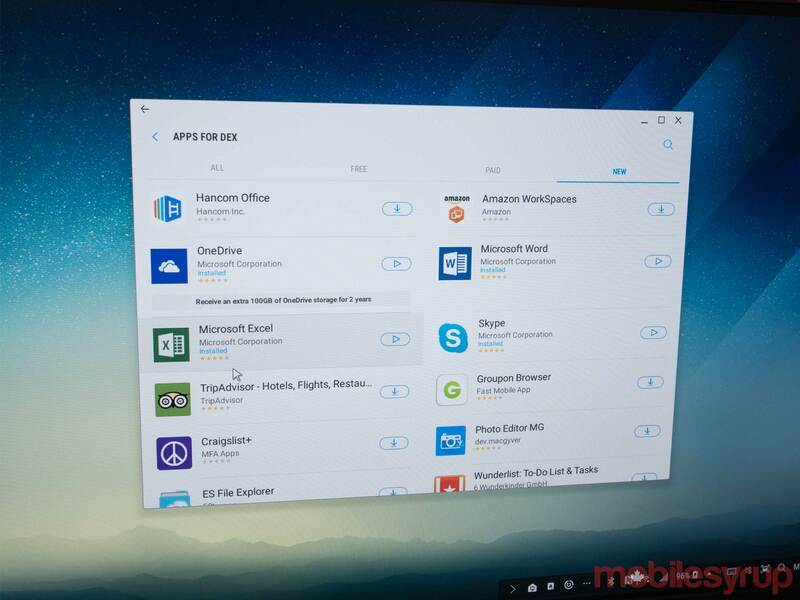 Unfortunately these apps have not launched yet and it’s unclear when they will be released. DeX allows access to remote virtual desktops via apps like VMware and Amazon Web Services, though I didn’t test out this feature during my time with DeX. Those familiar with this software, particularly VMware, could find this feature very useful. Also, similar to most visual desktop environments, DeX users are able to create and move around shortcuts to specific apps. App support is one of DeX’s most significant issues currently, though given that the underlying code of every app likely remains similar to its stock Android counterpart, in theory a simple user interface shift shouldn’t be that difficult for developeers. Still, it remains to be seen how many developers are willing to put in this extra work, especially with DeX only supporting the S8 and the S8+. The most compelling thing about DeX is that it’s capable of handling almost 80 to 90 percent of what the average person uses a PC for. 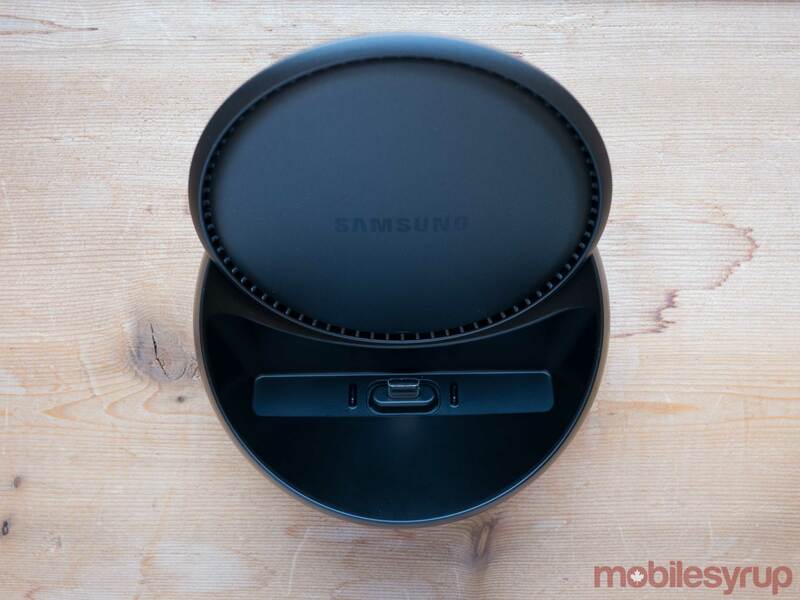 So while I may not be able to do my day-to-day job at MobileSyrup with an S8 and DeX, if I worked in another industry, or was simply just interested in owning a very basic PC, the dock effectively turns Samsung’s latest flagship into a handy 2-in-1 device. It’s currently still unclear when DeX is set to be available in Canada, though the dock can currently be purchased in the U.S. DeX sells for $150 USD which comes to approximately $202 CAD. Official Canadian pricing isn’t known right now. 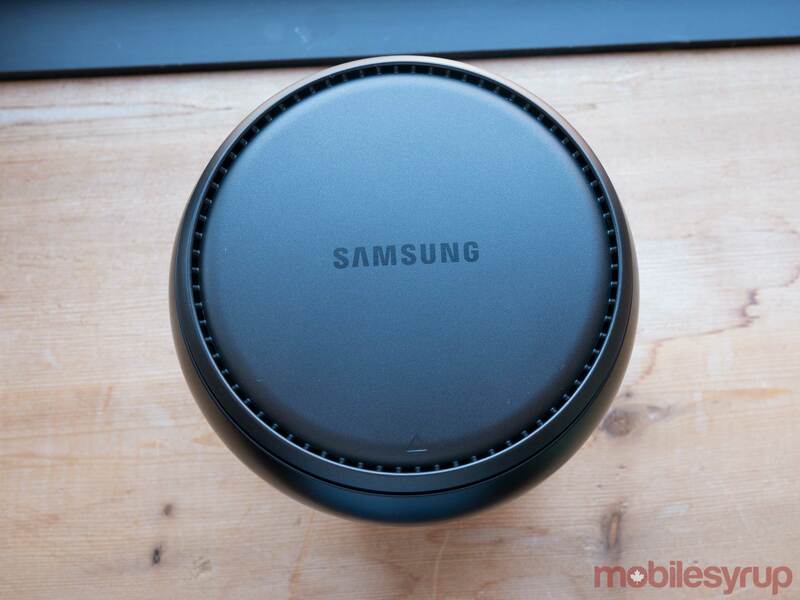 Below is a quote sent to MobileSyrup from Samsung regarding Canadian availability of DeX.